As Senior Vice President and Chief Marketing Officer, Logistics Property Company, LLC (LPC), Jude is responsible for the protection and enhancement of the Logistics Property Company brand across North America. Jude has over twenty years of experience as a global B2B and B2C brand builder. 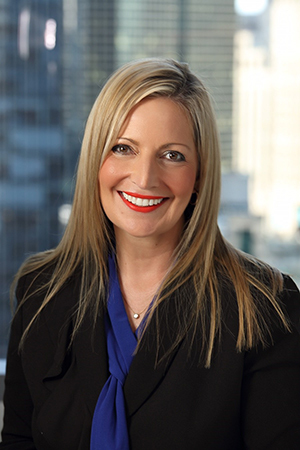 Prior to joining Logistics Property Company she held various executive level, marketing and communications roles across a diverse portfolio of brands, industries and cultures in Australia, Japan and the USA. Most recently, she worked for three global, Australian-headquartered, public companies in North America: Corporate Travel Management, Flight Center Travel Group, and the commercial real estate arm of Macquarie Group — Australia’s largest investment bank, where she managed marketing and communications for several ASX-listed REITs. ○ TRAVEL RATTLE – an independent travel blog featuring what’s disruptive in the travel industry. She holds a Certificate of Integrated Marketing and Communications (DePaul University), Master of Arts in International Relations with a major in media, politics and economics (Deakin), Bachelor of Arts, Modern Languages, Japanese with a sub-major in management (UCAN), and Diploma in Financial Markets (FINSIA). She also received a one-year Rotary International Youth Exchange Program scholarship to Japan. Jude serves as a Director of ANZACC Midwest and on various committees for UNICEF USA.